#1 Nothing is more capable of troubling our reason, and consuming our health, than secret notions of jealousy in solitude. #2 Money speaks sense in a language all nations understand. #3 Each moment of a happy lover’s hour is worth an age of dull and common life. #4 One hour of right-down love is worth an age of dully living on. #5 Love ceases to be a pleasure when it ceases to be a secret. #6 He that knew all that learning ever writ, Knew only this – that he knew nothing yet. #7 That perfect tranquillity of life, which is nowhere to be found but in retreat, a faithful friend and a good library. #8 As we were coming up again, we met with some Indians of strange aspects, that is, of a larger size, and other sort of features, than those of our country. Our Indian slaves, that rowed us, asked them some questions, but they could not understand us, but showed us a long cotton string, with several knots on it, and told us, they had been coming from the mountains so many moons as there were knots. #9 Money speaks sense in a language all nations understand. #10 poet is a painter in his way, he draws to the life, but in another kind; we draw the nobler part, the soul and the mind; the pictures of the pen shall outlast those of the pencil, and even worlds themselves. When he came, attended by all the young soldiers of any merit, he was infinitely surprised at the beauty of this fair Queen of Night, whose face and person was so exceeding all he had ever beheld; that lovely modesty with which she received him, that softness in her look, and sighs, upon the melancholy occasion of this honour that was done by so great a man as Oroonoko, and a prince of whom she had heard such admirable things; the awfulness wherewith she received him, and the sweetness of her words and behavior while he stayed, gained a perfect conquest over his fierce heart, and made him feel the victor could be subdued. A poet is a painter in his way, he draws to the life, but in another kind; we draw the nobler part, the soul and the mind; the pictures of the pen shall outlast those of the pencil, and even worlds themselves. This old dead hero had one only daughter left of his race; a beauty that, to describe her truly, one need say only, she was female to the noble male; the beautiful black Venus to our young Mars; as charming in her person as he, and of delicate virtues. I have seen an hundred white men sighing after her, and making a thousand vows at her feet, all vain, and unsuccessful; and she was, indeed, too great for any, but a prince of her own nation to adore. The king, enraged at this delay, hastily demanded the name of the bold man that had married a woman of her degree without his consent. Imoinda, seeing his eyes fierce, and his hands tremble, whether with a age or anger, I know not, but she fancied the last, almost repented she had said so much, for now she feared the storm would fall on the prince; she therefore said a thousand things to appease the raging of his flame, and to prepare him to hear who it was with calmness; but before she spoke, he imagined who she meant, but would not seem to do so, but commanded her to lay aside her mantle and suffer herself to receive his caresses; or, by his gods, he swore, that happy man whom she was going to name should die, though it were even Oroonoko himself. ‘Therefore,’ said he, ‘deny this marriage, and swear thyself a maid.’ ‘That,’ replied Imoinda, ‘by all our powers I do, for I am not yet known to my husband.’ ‘Tis enough,’ said the king, ’tis enough to satisfy both my conscience, and my heart.’ And rising from his seat, he went and led her into the bath, it being in vain for her to resist. He made her vows she should be the only woman he would possess while he lived; that no age or wrinkles should incline him to change; for her soul would be always fine, and always young; and he should have an eternal idea in his mind of the charms she now bore; and should look into his heart for that idea, when he could find it no longer in her face. 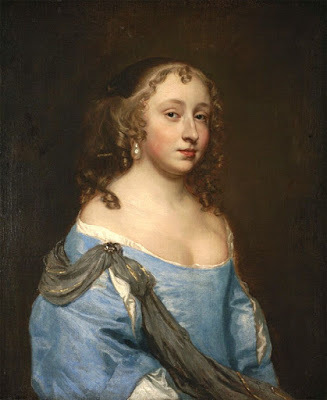 These were the top 10 best Aphra Behn quotes. Do bookmark the page to check for updates and comment for more.